Use the resources & tips on this page to help you prepare! this website - use the Unidad 1, Unidad 2, and Unidad 3 pages - there are a TON of links to online flashcards, videos, practice activities and games, etc. 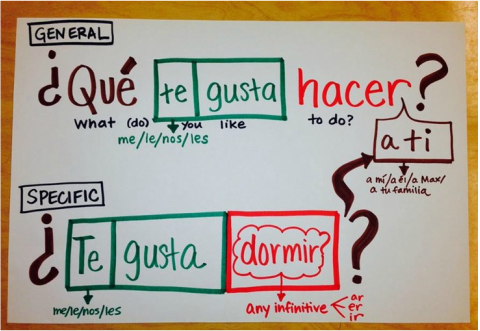 especially QUIZLET - the interactive flashcards with Spanish pronunciation helps a LOT! 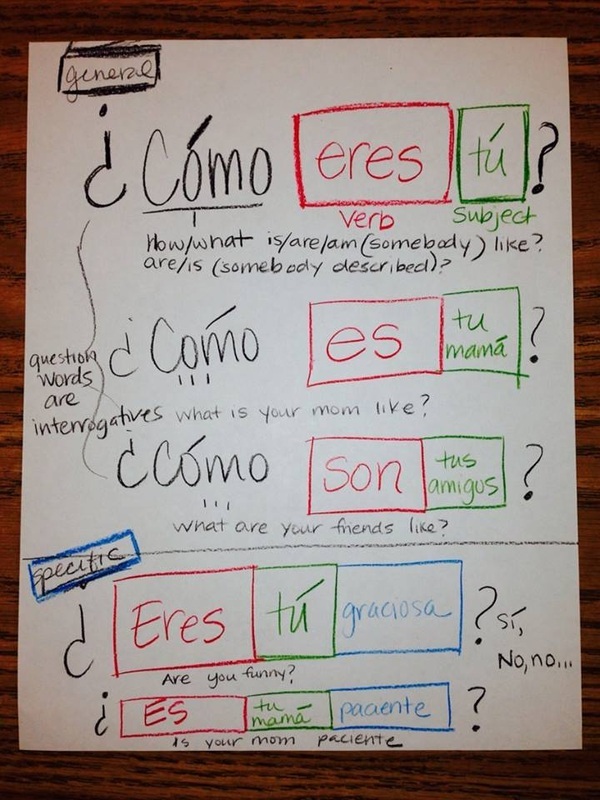 your classmates - any student in Spanish 1 with Sra. Moore - is a study buddy!!! Practice writing skills by trying to write all of the structures and then checking your work with the key. Practice conversational skills with a partner, asking and answering as many of them as possible. Each interrogative has an accent mark. Practice writing each one over and over with the correct spelling, structure, and accent! #1 Strategy: Speak with your partner...a lot! 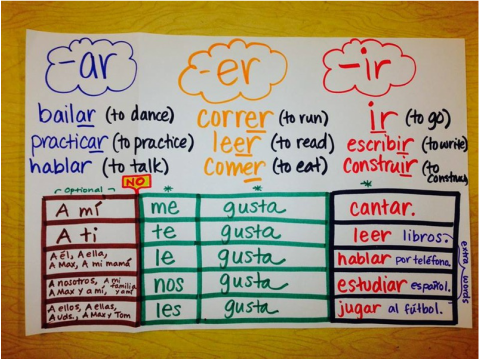 There is NO substitution for speaking in Spanish than speaking in Spanish. You have to make time in each day to practice your conversational skills with your partner and/or someone else who is also preparing for this assessment. Listen to you and your partner's conversation from the last speaking evidence several times. You can find the audios on the Unidad 2 page. OR, if you know you have improved since then, record you and your partner's most recent conversation on your phone. Listen to that recording several times. After the first time you listen, get out your final exam review packet I gave you to use while you talked. Look at your graded rubric from the Unit 2 partner conversation. Read through both the kudos and the questions to help you improve that are listed on the back. If you don't know how to use some of the language, and you're confused on how to form the question or the answer, use the videos and practices below to help you get better at whatever concept is confusing for you. Remember: There are a TON more videos, Quizlet flashcard sets, and interactive website links found on our unit pages on the site. As you listen, have out a piece of paper and a pencil. Try to write down as much information as you're able to understand. Can you answer the following types of questions? What is their name? How old are they? Where are they from? What is their profession? If they're studying something, what are they studying? What is their family like? Do they have a big or a small family? How many brothers & sisters do they have? What are they like? What aren't they like? What do they like to do? What don't they like to do? Below are links to the audios of native speakers that we've listened to this year, plus some new ones! Use these to help train your ear! 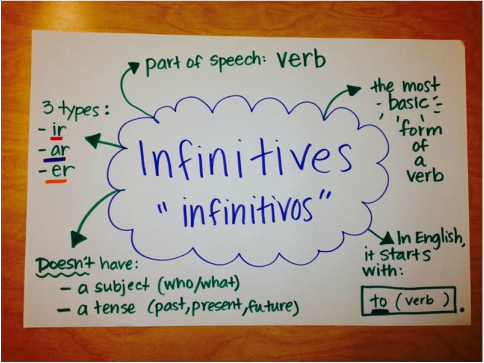 You will need to cover all of the topics from the first semester by writing in complete sentences using the correct grammar - that's a really important part! If you did the "Una Encuesta" writing assignment for Unidad 2, Sra. Moore gave you feedback on your paper. Get that out and look at the edits and revisions she made. Use the feedback to help you, and remember, that was only on Unit 2 topics. The writing you do for the final exam will have to include the Unit 1 topics as well. - use the Write/Gravity functions on all Q & A Quizlet sets from Units 1 and 2. For the Unit 3 Portion of the exam...***Graded for all students! translate sentences about school. You'll need to know how to answer each of the 5 target questions for Unit 3 in pure Spanish correctly and in writing. - use the Write/Gravity functions on all Q & A Quizlet sets from Unit 3. Just click on the link below. 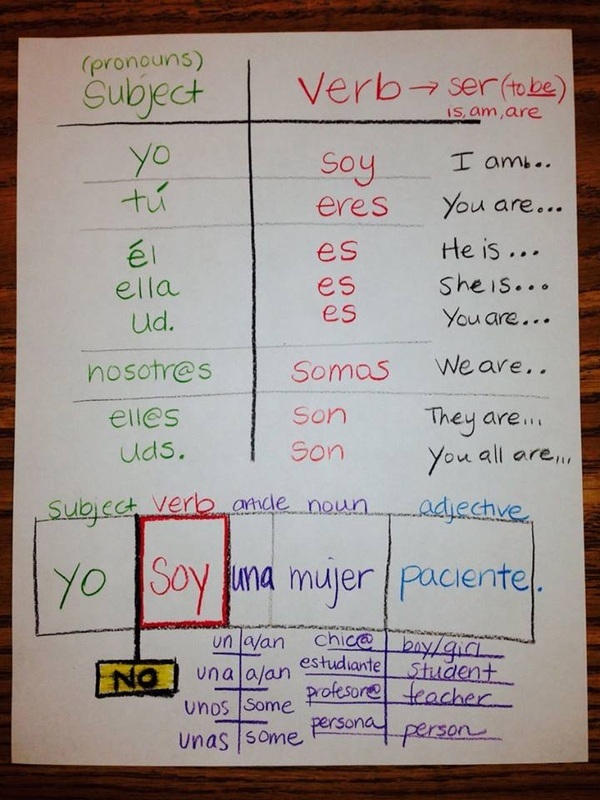 - make sure you know your subject "Personal" pronouns 100%! Use the video and Quizlet above to help you master. - practice writing responses to the 5 target questions (see your blue "Preguntas y Respuestas" HW sheet for ideas). More resources are located on the Unit 3 page - click link below to be taken there!